With the advent of digital television and the dropping prices of television sets themselves, more homes have become multiple screen households. Having a television in your living room and getting the whole family in to watch is no longer the only option, with many people now having televisions in their bedrooms, home offices and kitchens, but what if you only have a single antenna TV point? The majority of newly built homes and apartments will have a shared antenna that feeds multiple connection points throughout premises to enable watching of different televisions from the same antenna. This works by having a large distribution box at the site of the antenna to feed the main coaxial cable into, and then depending on how many other connections that are needed and the length of the cabling required, the signal is boosted and then fed to various rooms. The cabling is fed on the outside of the house and then into a room where a small box is placed on the wall to house the connector to connect your television to. Using this method to install your very own TV output point is the best way to have an additional television in another room. Digital television means that multiple channels are available for a single set price for a decoder or a new television with a digital tuner in it. This means that you won’t need new set top boxes for each television if they are digital ready. Using a small indoor antenna is only viable in places where the quality of the broadcasting signals is very high. In most cases, interference will render these indoor antennas useless. Using a proper antenna on the roof will ensure that you get great picture quality every time you use your television. The entire process doesn’t need to be expensive, and if you wish to simply add a single connection to another room, it can be done with minimal fuss and cost. The simplest way to install additional TV aerial points is by unhooking the antenna from its cable and splitting the signal with a two-way distribution box. 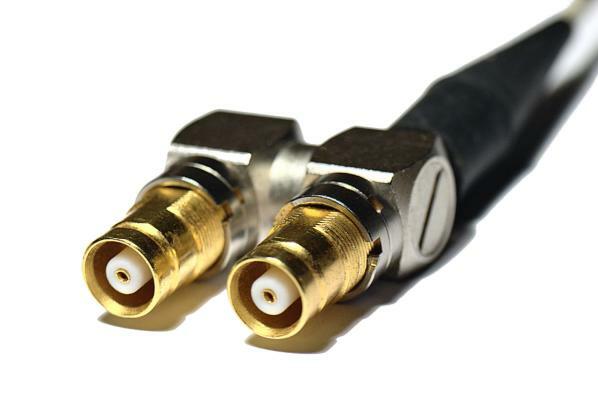 Simply add a length of high quality copper-core coaxial cable to a two-way splitter and run this cable along the outside of your home to the desired room. Drill a hole through the wall into the room and attach the cable to the all with the wall tacks. Where the hole is drilled, attach the TV point box to the wall and attach the coaxial to the internal connections. Seal the holes in the wall on both the inside and outside with the sealant for a weather tight fit. Connect the faceplate to the wall point and you are good to go. If you are in any doubt about the logistics involved in installing more TV points in your home, simply call a professional tv point installer to help you out. If you don’t have all of the necessary equipment such as a ladder, it would be wiser and cheaper to simply ask for a quote to get your job done. TV signal boosters come in many different varieties, and many sold in the stores are for use on indoor antennas. Use a local electrical specialist store to find the correct external antenna signal booster that is plugged into the mains to give you the correct attenuation on your signal for the best results. Purchasing the supplies necessary for installing one additional box may make it worthwhile to have multiple tv points installed around your home to save a bit of money. Spreading the costs over multiple outlets means that you’ve future proofed your home if you decide to swap rooms or turn that spare bedroom into a home theater, so plan ahead and you will save time and effort in the process.